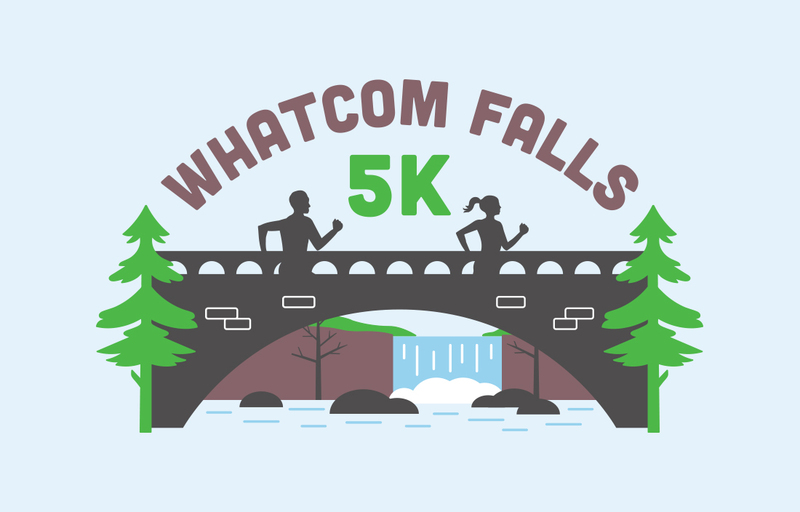 RACE DIRECTOR MESSAGE: RACE CANCELED – With regrets I have to cancel (until next year) the Whatcom Falls 5K scheduled for this Saturday. The shaded parts of the course are still covered in 1″+ of ice and slippery compact snow and will definitely not be clear by Saturday. Parks and Rec. agrees with my assessment and has revoked our permit again after they checked the course out. Thanks again for your understanding. Keep checking the GBRC website for future running opportunities as there are 2 more races scheduled in March. Attention NON-Members: Please send us an email requesting a refund should you desire one. The race will start and finish near the fish hatchery. After a short loop to the north to spread the crowd out, you will head west on the Waterline Trail. Then turn south (left) on the trail that takes you to Lakeway Dr. where you will turn right and enter Bayview Cemetery. Follow roads through the cemetery and reconnect and turn right on the Waterline Trail. Head east (staying left if you meet on coming runners) then turn left and cross the wood footbridge. After crossing the bridge turn left then sharp right up a short but steep hill and turn right again at the top. This trail will lead you across the old stone bridge and up to the parking area. From here you will cross the road and go up the trail by the registration shelter and turn left at the top onto the road and follow this loop back to the start/finish area. There will be ribbons for the top 4 in these (11) categories. Male and female solo runners, stroller (solo), 2 guys, 2 girls, guy/girl, siblings/cousins, and parent/child and we will have 3 masters divisions: solo male, solo female and team (all runners must be 45 or older). We will have as many prizes as we can round up for top finishers and random prizes. 8:45-9:45 am at the large shelter near the start. Race starts at 10:00 am. Lakeway Dr. exit 253 from I-5. Northbound take right at end of ramp, go 1 block then left on Lakeway. Southbound take left on Lakeway. Go 1.5 miles east past cemetery and turn left on Silver Beach Rd. (at Kenoyer). There is more parking in the upper lot off of Electric. We also encourage runners to park at Bloedel Donovan Park where we have a Shuttle transporting runners from 8:45am. – 9:40am. to the race start. And on the return from 10:50am. – 11:20am. BBay Running and GBRC have joined together to start a program for runners to recycle their old running shoes. So bring all your old running shoes with you to the Whatcom Falls 5K and we will take them off your hands and keep them out of our landfills. For more info on this program go to shoe recycling & reuse at bbayrunning.com. 15% Discount Rate at Oxford Suites Bellingham for GBRC Members, Participants & Attendees of the Two for the Road. 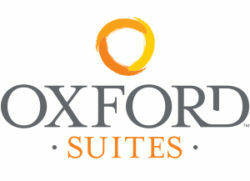 To access the discount through the Oxford Suites Bellingham website, your members can type “GBRC” in the Promo Code box. It’s a quick and easy way to make a reservation!